Conveying history through a blend of graphics and narrative—-also known as “comics”—-has the ability to bring a wider level of audience engagement to Canada’s past. 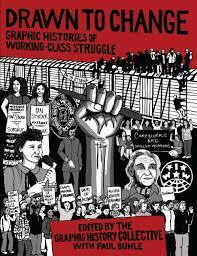 This is certainly the aim of the Graphic History Collective, a group of writers and artists sharing a passion for untold histories of working people. Drawn to Change presents nine such stories, five of them are set wholly or partially in British Columbia. Among them is the story of Bill Williamson. He knew all about riots, strikes and worker struggles. His life story as a hobo, on-to-Ottawa trekker, Spanish Civil War veteran and photographer is a fascinating journey through the hardships and brutalities of several decades of the twentieth century. Born in Winnipeg, Williamson was well-travelled by 1935 when he helped organize relief camp workers in Vancouver. Thousands hoisted themselves on to trains heading for Ottawa, where they planned to bring their grievances to the Prime Minister. Williamson’s later story— along with other Canadians fighting fascism in Spain—is another fascinating tale. Williamson not only survived warfare, but also managed to live a long life. Photographs taken by him during the Spanish Civil War and housed in the National Archives of Canada, along with his letters and interviews, inform this riveting graphic biographical account. for Vancouver residents who would not have been exposed to aboriginal issues in the city’s mainstream press. 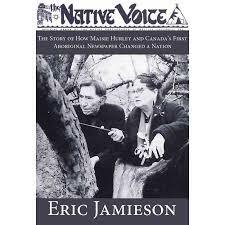 In this study of the newspaper, popular historian Eric Jamieson entwines Hurley’s lively biography with that of several First Nations’ leaders and establishes a well-researched historical context for their political struggles.